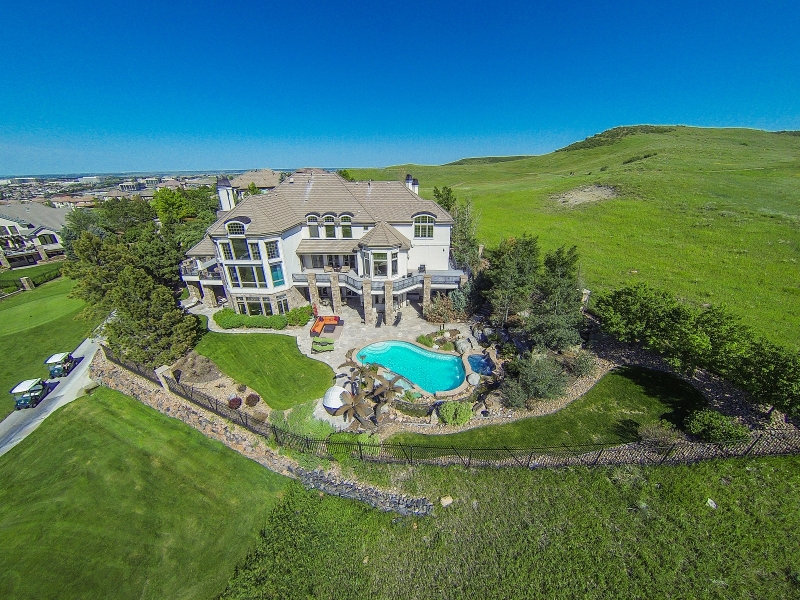 Situated high above the hills of Lone Tree, this majestic home has panoramic mountain and city views as far as the eye can see . Enjoy the 2 miles of walking trails right outside your back door. Watch golfers tee off on the 15th hole of the Lone Tree Golf Course and then watch them all the way down the fairway as the hole bends and curves 300 feet below the property. 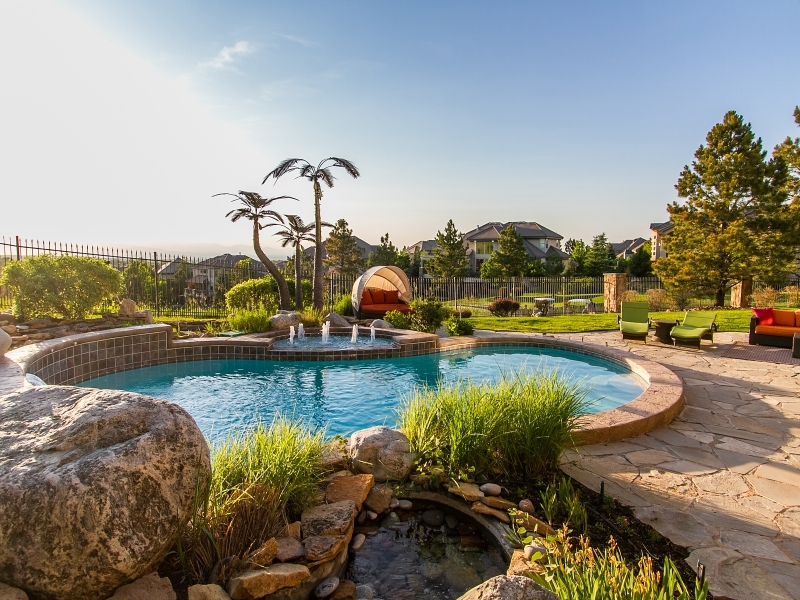 Spend your days relaxing poolside and evenings in the hot tub or sitting by the outdoor fire pit as you watch the glorious Colorado Rocky Mountain sunset. Built for entertaining, this 23,000 sq.ft. estate provides enough room for all your guest parking on the 200 foot gated driveway and 4 car extended garage. Inside the 11,000 sq.ft. finished home, you’ll find your own elevator, 700 bottle wine cellar, a state-of-the-art Crestron whole house music, TV, security camera electronics system and whole house water softener. Other special features include hail proof and dark-out remote control exterior window shutters, a concrete tile roof, 4 furnaces, 4 air-conditioners, and a laundry room with space for 2 washing machines, 2 dryers and a spare refrigerator. The main floor master suite boasts a 13x11 walk-in closet, a shower inclusive of 7 shower heads and a jetted tub in the luxurious bath. The walkout basement holds the real true beauty of the estate giving direct access to the pool and outdoor entertainment. Its showpiece is the central lounge, bar and wine cellar. Enjoy big screen movies in the theater or snuggle up next to one of the eight fireplaces as you watch the winter sunset settle over the pristine golf course.